Winter arrives and with it the cold. Our Disney princesses want to change their clothes for more warm ones and we will have to help them get it. 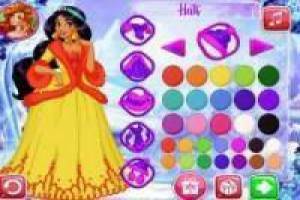 All the princesses are gathered and you can choose three of them in each game. Choose your favorite princesses one by one and start creating a nice look for the coldest time of the year. You will have to choose an upper part, select the sleeves, add the bottom part and then add-ons to combat the cold. 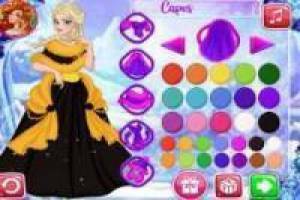 You can change the color of each part of the dress using the colors you have available. Among the accessories include gloves, capes, hats and even earmuffs so they do not go cold. Prepare the Disney princesses with their winter dresses. 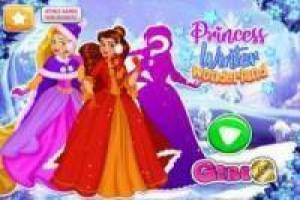 Enjoy the game Disney Princesses: Winter Dresses, it's free, it's one of our disney princesses games we've selected.